You have already set up a LEMP, MAMP, XAMPP, or equivalent development environment. You are familiar with the Symfony environment. We’ll be using composer (a tool for dependency management) to install Symfony and Twilio's SDK. Composer installation instructions can be found here. Also, be sure to install composer globally, by following the instructions in the global sub-section. After installing composer, we’ll first need to set up the database for our application before we install Symfony. Click on the links for a simple walk-through on how to create a database using either PHPMyAdmin or SequelPro. Use your preferred database management tool to create a database for our app and give it the name appointments. In this case, Appointments will be the name of the project folder, and it will be created automatically by composer. - the database_name (which in this case is appointments). - the database_user and database_password for accessing the database. You can leave the default values for the rest of the parameters. In case you need to change the values later, you can do this in the project's app/config/parameters.yml file. 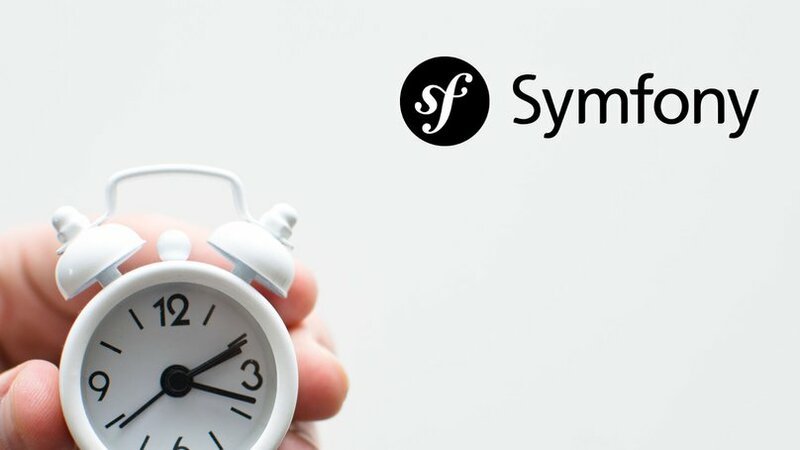 For a refresher on Symfony, check out this up and running tutorial. Now that we've got our app installed and setup, we'll start by creating the entity models we'll need to capture the users and appointments information. This is our User entity model, that uses Doctrine ORM to map out our User table. In this case, we only store the name, email, and phone number of the user. Depending on the needs of your application, you could end up with more information about the user, such as address, date of birth, gender, etc. We've added a reference to the user in the appointment table to make lookups easier for us later on. The next thing we'll do is add some sample data to work with. We could add a controller with the necessary actions and views to perform CRUD operations of users and appointments, but that is not necessary for our use case. Instead, we can either simply add the data manually in the database, or use Doctrine Fixtures Bundle to load sample data in the database. Then open AppKernel.php inside the app folder (in the root of the project) and enable the DoctrineFixtures bundle. The DoctrineFixtures bundle is ONLY supposed to be used for testing purposes. This means it should NOT be enabled in a production environment. As such, we shall be enabling it only for development or test environments. This is done by appending a new instance of the bundle to the $bundles array inside of the registerBundlers() function [Line 9], after confirming that we are either in the dev or test environment [Line 22 for a clean install]. Next, we’ll add a DataFixtures folder to src/AppBundle and then add an AppFixtures class to the folder that will define the sample data to be added. NOTE: Be sure to change the date to the current date for easier testing. You can also add more users or appointments if you wish. Now that we have our entity models set up and our database seeded with some sample data, let's see how we can send the SMS reminders. For this, we'll use Twilio's SDK. You will need a Twilio account and phone number, as well as your account's SID and auth token. NOTE: Be sure to also include the line that adds an alias for the twilio.client service. With this, we can now inject the service anywhere into our application. Now we can look at the SMS command. We want the reminder SMS messages to be sent automatically at set times using crons, so we need to be able to execute the sending of SMS messages from the command line. For that, we'll need a command. // For our app, we'll be sending reminders to everyone who has an appointment on this current day, shortly after midnight. // As such, the start and end times we'll be checking for will be 12:00am (00:00h) and 11:59pm (23:59h). The code above checks our appointment table (in the database) for any appointments scheduled for today, then loops through the appointments and sends an SMS (using the Twilio SDK) to each user who has an appointment today. At the end, it prints out a confirmation message to us on the console that the reminders were sent successfully. Recommendation: For testing purposes, I’d recommend you change the phone numbers of the users (in the user table) to either your own number, or that of someone nearby, so you can actually confirm that the sent SMS is delivered correctly. If there are any appointments scheduled for today, you should see a printout on the console of the number of SMS reminders that will be sent, and a success message once they are sent. If there aren't any appointments, you should likewise see a message informing you of the same. Now that we have our command configured correctly and we've verified that it's working, we'll finish by scheduling our command to run at a specific time daily. NOTE: You could also set the command to run at intervals less than a day, depending on your requirements. You'll however need to update the $start and $end times of the appointments to ensure SMS messages are sent accordingly. Then we'll set the interval (once a day at midnight) for our cronjob, as well as the task to be executed. NOTE: be sure to set the correct absolute path of bin/console. Congratulations, you did it! You can now send appointment reminders in Symfony using Twilio SMS. You can find a final version of this app on github.